T- minus 14 days until vacation time. The hubby and I will be going to 5 places in Europe for 10 days. I'm seriously so excited and can't wait. I've never been to that side of the world and I'm super excited to explore! We are visiting London, Amsterdam, Germany, Switzerland, and Paris. 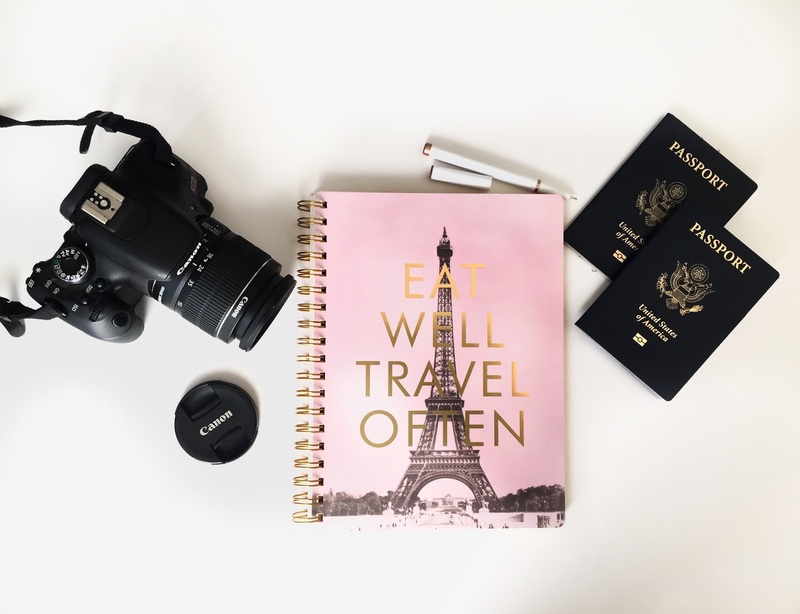 The hubby and I share a big love for travel and we always wanted to visit Europe but just wasn't sure how and when we would be able to do it. We made the decision to start planning and paying for this trip since last summer. There's so much planning going into this trip and the closer it gets the more excited I get. I purchased this super cute travel notebook from Marshalls to keep us organized. We wrote down things we both wanted to explore, see and eat for each place we are visiting just to make sure we check everything off our bucket list. I seriously can't wait to see the gorgeous Eiffel tower in person and drink a bunch of tea and eat a lot of croissants like a boss in London. Lol. If anyone has been to any of these places or if any of my followers live in these places please feel free to comment any tips and good places to eat and go to! My biggest worry is the time difference lol, I'm going to need alot caffeine to keep me up when body thinks I should be sleeping lol. I'm so excited and can't wait to go already, it's going to be a busy couple weeks for the Osorio household but Europe here we come! Be sure to follow me on Snap [pattyskloset] and Instagram as I'll be sharing our trip. Omg!! Exciting.. If you are going to Germany try to go to Czech Republic, Prague is beautiful and depending on where you are in Germany it's only a train ride away.. Dresden in Germany is great for shopping.. Thanks Yaudy! I will add it to our list! !